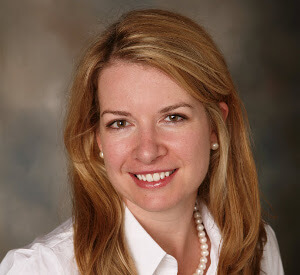 Julia Goebel is Vice President of Marketing at Stericycle. She specializes in marketing, branding and communications – heading the marketing group of Stericycle Healthcare Compliance Solutions. Julia’s group is focused on growing the segment of Stericycle dedicated to small- and medium-sized businesses (SMB) and their efforts to comply with a variety of state and federal regulations. She previously led marketing on behalf of Stericycle Communication Solutions, another offering of Stericycle, Inc. Prior to joining Stericycle, she was vice president of marketing at a privately-held technology company specializing in hardware and software sales to healthcare organizations. Additionally, in a previous role, Julia oversaw client relationships at one of the nation’s top business-to-business marketing and branding consulting firms. Originally from New York, she calls Chicago home and never misses a chance to do something active.